After we finished our kitchen reno (over a year ago already! ), I think the DIY bug felt... satiated? Haha - hey, it was a LOT of work! But now that we've had a break, I've been feeling like our spare bedroom could use a purpose. It's been used as a storage room, a second guest room, and (don't laugh.. okay.. fine go ahead) Hondo's room. 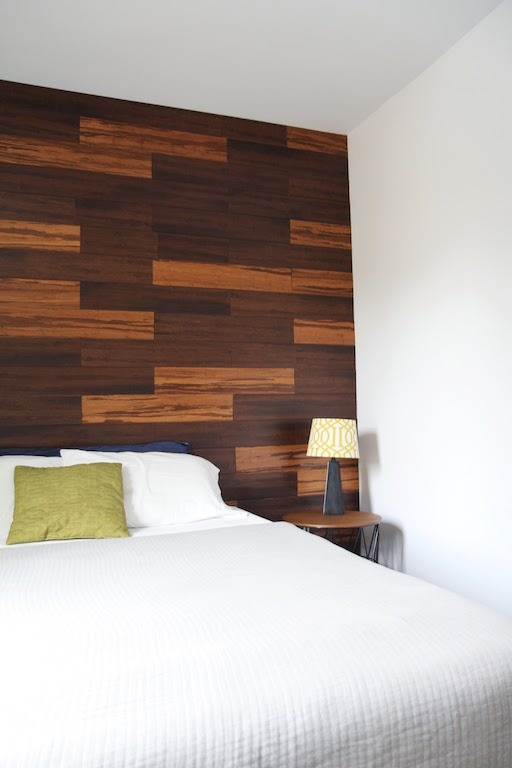 We put up a wood accent wall that I think we are already tired of, but I do like the texture of it. I want to rough it up and perhaps paint it something sort of moody and fill the room with lots of natural wood, white, and functional pieces. The challenge in this project, is that I'd like it to serve both Tom and I. He works from home occasionally, and I work from home all the time. It would be nice to have a place where our work stuff can gather and we can close it off from the rest of the house. Right now, Tom takes early morning conference calls each week from the couch in the living room and this means Hondo can't be disruptive and I can't make any noise either. So the current situation is not very conducive to work/life balance in that sense. However, we do use this spare room as second guest room fairly often, so I also want to create a super functional room with desk space for two with the ability to turn it into a welcoming guest room when needed. 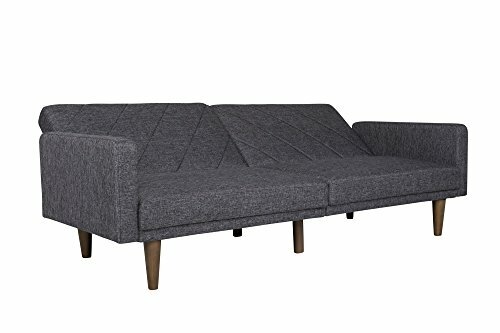 This will be a big challenge since this is the smallest of the bedrooms, but I think it would be an awesome and unique way to liven up the space. Here is my office inspiration board on Pinterest. 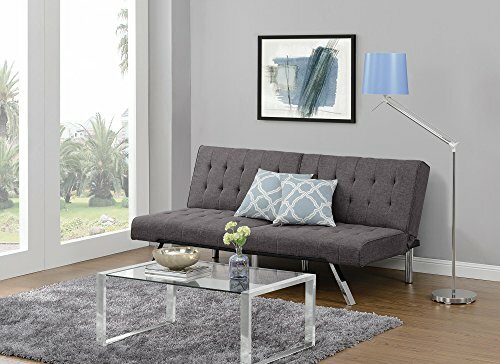 I want to keep the cool tones we have throughout the rest of the house consistent with this room, as well as add our modern/mid-century flare. My favorite image of the set, is the one with the navy wall, wood shelves, and rattan chairs. It's seriously giving me ALL the heart eyes! 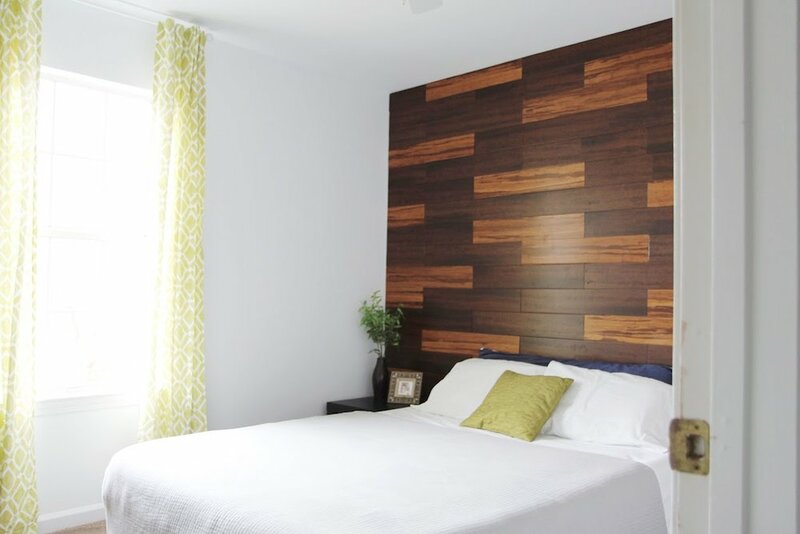 We liked the idea of the wood wall, but quickly realized it's far too warm for our taste. I want to paint that puppy navy right this second! 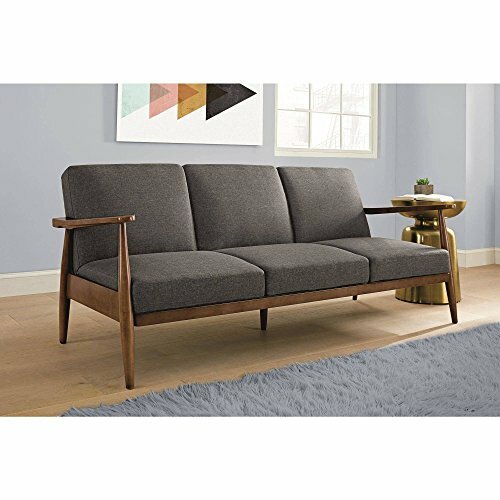 To remedy the issue of needing this office to transform into a guest space, I thought it would be awesome to add a sleeper sofa. It would make a perfect spot for lounging if we wanted a break from the desk (and could even give us seating for small meetings) and would help create a space we'd enjoy working in. I think with a couch in the room, we'd have to get a little creative with the use of space in terms of desks, but it would a fun challenge. I thought perhaps lining a couple of the walls with fold down desks would be nice for stowing them away when guests came to town. Or placing them just so, so they'd become side tables for the bed. What do you guys think? Is this a challenge we should attempt? I'm not kidding, I'm ready to take a roller to that wood wall any second now!